The most important part of our Android phone is the battery life. All of us uses our smartphone throughout the day and we need to charge our phone lot of time. But the main culprit who drain your phone battery too much are games or apps. In this guide we have to discuss how to find out which apps or games are draining Android phone battery. Most of the person spend his lot of time on social networking websites, watching videos, listing music, playing games etc. Due to which you have to lost your phone battery too much. You need to recharge your phone battery more than one time with in a day. But if you are doing travelling or not at home or office and also you don’t have charger in that situation you fell lot of trouble. If you don’t have phone charging facility and your phone batter already go down then what to do. How to know or find out which cause your phone battery is dead too much. There are lot of reasons due to which your phone battery drain too much. The HD screen handsets just like HTC One M9 or Samsung Galaxy S7 are main culprit which drain your phone battery too much. Another important reason is games and highly designed app drain your phone battery too much. 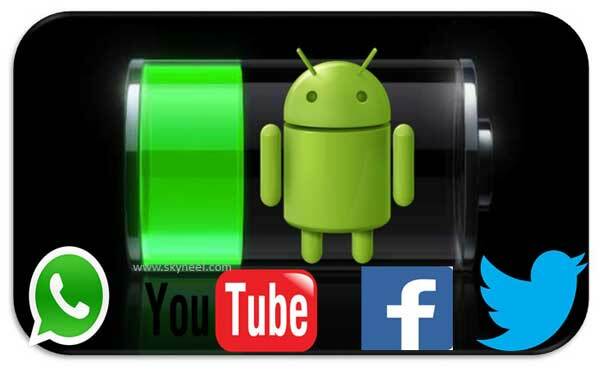 In this guide we’ll find out which apps or games draining your Android phone battery too much and want to do to get the solution of this problem. There are lot of apps which are useful for our phone. But few apps drain your phone battery due to which you have to face lot of problems. First you must have to check all those apps or games which draining your phone battery. To discover all those apps which consume lot of phone battery you must have to tap on the “Settings” and tap on either “Battery” or “Power Management” option (as per your device). Now you can see the list all those apps which consume your phone battery too much. After found all those apps which consume lot of phone batter you can take decision what to do with them. First you have to tap on the “Settings” option now tap on the “App” or “Application“. After that you have to clear cache of those apps if your problem is not resolved then tap on the “Force stop” option on your phone. If you discover any app or games consume lot of phone battery then you must have to uninstall those apps or games from your phone immediately. To do this job you have to tap on the “Settings” option, tap on the “Apps“. Now you have to tap on the “All” apps which show list of all apps. Now select any desired app which you want to uninstall and tap on the “Uninstall” button. It is another important way to protect your phone battery. Lot of person like to install lot of widgets like weather, news, social networking apps on his Android phone. These apps needs regular updates due to which lot of draining your Android phone battery. If these apps not essential for you then you have to immediately remove these apps from you Android phone. It is another important way to find out which apps or games are draining Android phone battery. If you want to remove unwanted widgets from home screen of your Android phone then tap and hold on the widgets and drag it to “remove” option. If you feel there is no more apps or games are responsible for draining the phone battery, then you have only one way. You have to check the brightness level of your Android phone. If you found brightness level of your phone is greater then you have to reduce the brightness level as per the sunlight. To reduce the brightness level tap on the “Settings” and tap on the “Display & lights” option. Now tap on the “Brightness level” option and reduce the brightness level as per requirement. There are lot of apps like Facebook, WhatsApp, Twitter, Emails and others need real time updates. There are lot of notifications you have to received on your phone. Due to receiving these notification on your phone, the battery level have to be reduced. You have to immediately turn off all those notifications from your Android phone. If you want to turn off the notification then tap on the “Settings” and tap on the “Apps“. Now un-check the “Show notifications” from your phone. I hope after reading this guide you can easily find out which apps or games are draining Android phone battery. If you have any query regarding this article then please write us in the comment box. Thanks to all.